WHEN: Friday, March 29, 2019 6-8 p.m.
For most of the week, Birch Thomas goes to her 9-5 job as vice president of finance for a small company in Georgetown. She loves the precision of numbers and balance sheets and is good at what she does, but her day job doesn’t define her. When Birch Thomas is really “on,” she’s out with her camera taking pictures. Although this tenth-generation Arlingtonian grew up in a creative household — her mom is a pastel artist and photographer and her dad a sculptor — she never picked up a camera for more than the usual snapshot until about three years ago. Over the past few years, Birch has gradually built up a small photography business on the side. She photographs food, weddings and other important moments in people’s lives. 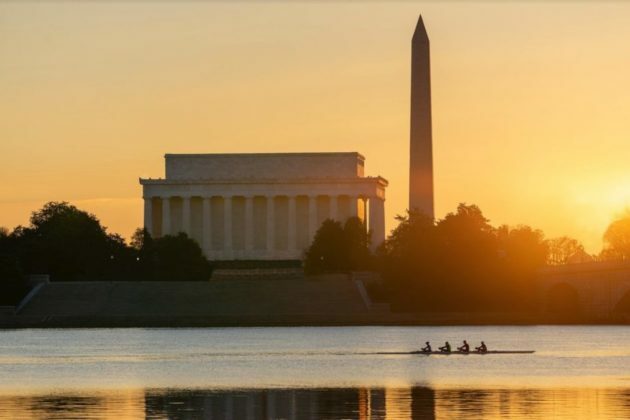 And she still goes on long walks with her camera, lending her unique perspective to D.C. landmarks, monuments and pieces of everyday life. This Friday, March 29, Birch will have her first solo exhibition at Rosslyn CAFE, a four-week series of free community events every Friday evening hosted by the Rosslyn Business Improvement District (BID). Taking place at the beautiful Bennett Park Art Atrium in Upper Rosslyn, Rosslyn CAFE introduces attendees to the work of new local artists each week, offering them the opportunity to purchase art while enjoying food, drinks and a festive atmosphere. 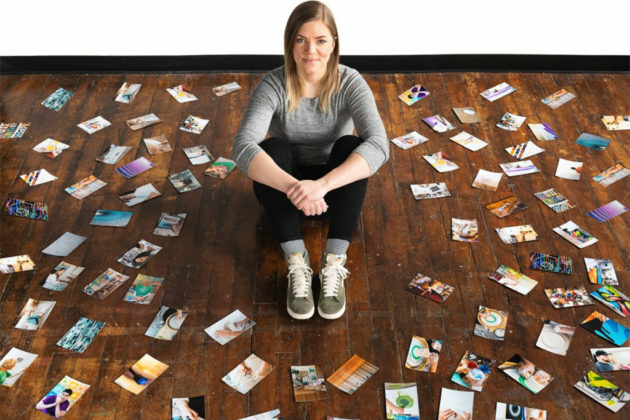 Birch will be selling unframed prints at Rosslyn CAFE in a variety of sizes, and if she doesn’t have exactly what people want on hand, they can order it at the event. Birch says taking pictures of people is a different process for her than capturing objects and places. Photographing people is more about developing a relationship and sense of trust so that others feel comfortable around her. Currently, she’s in the midst of a documentary project photographing artists in their studios. It’s been an honor to be present with artists as they create, and to see how each person’s creative process is different. When she’s out with her camera by herself, Birch shoots whatever catches her eye, aiming to depict something people see every day in a different light. 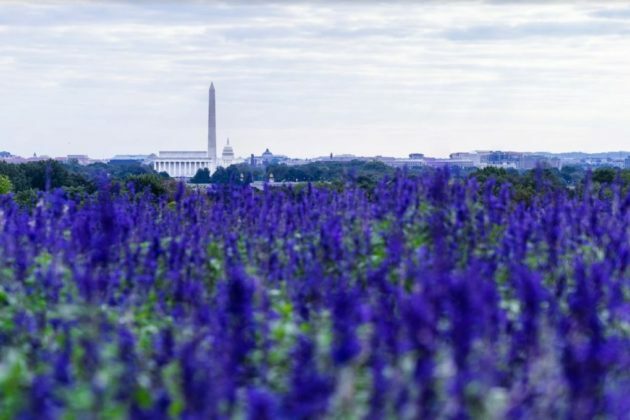 For instance, one Sunday morning she stumbled upon a field of seemingly endless purple flowers with the Washington Monument and Capitol in the background. This is one of her favorite, unexpected photos. Other times, though, she’s deliberate about what she wants to shoot, and will spend months planning and strategizing to take the photo she has in her mind. To learn more about Birch Thomas and her work, subscribe to the Rosslyn BID’s weekly email, which will feature a longer version of this piece later this week. See Birch’s photography on her website and on Instagram. Click here to learn more about Rosslyn CAFE.